The medieval epoch shouldn’t only be envisioned through a European lens. De Quest for wisdom foundation deelt met genoegen dit verslag over een tentoonstelling in New York met Middeleeuwse kunstschatten Mali, die het dominante perspectief op de geschiedenis vanuit een Eurocentrisch perspectief doet kantelen naar een centrering van Afrika. Can you picture the richest person ever in our collective recorded history? Would that picture change if you were told that he ruled the Empire of Mali in the 14th century? Might it change again if you were informed that he was a devout Muslim? These historical tidbits, I suspect, in the hands of another organization’s marketing team, might be widely advertised to bait potential visitors to the Block Museum’s current exhibition Caravans of Gold, Fragments in Time. 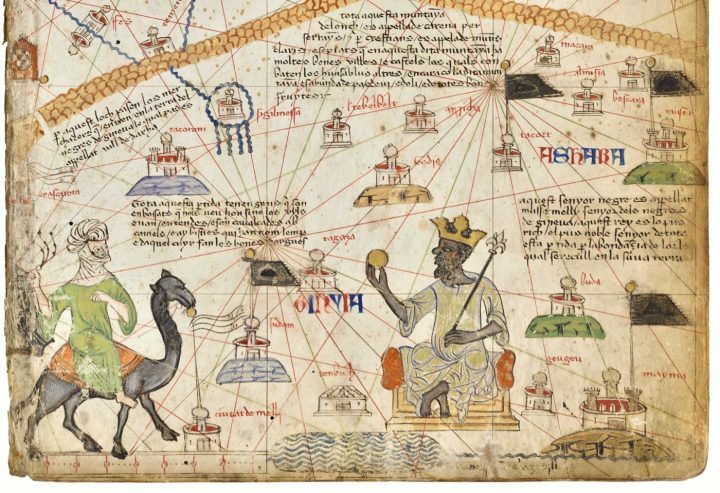 Exhibition: Caravans of Gold, Fragments in Time: Art, Culture, and Exchange across Medieval Saharan Africa continues at the Block Museum (on the campus of Northwestern University, 40 Arts Circle Drive, Evanston, Illinois) through July 21.